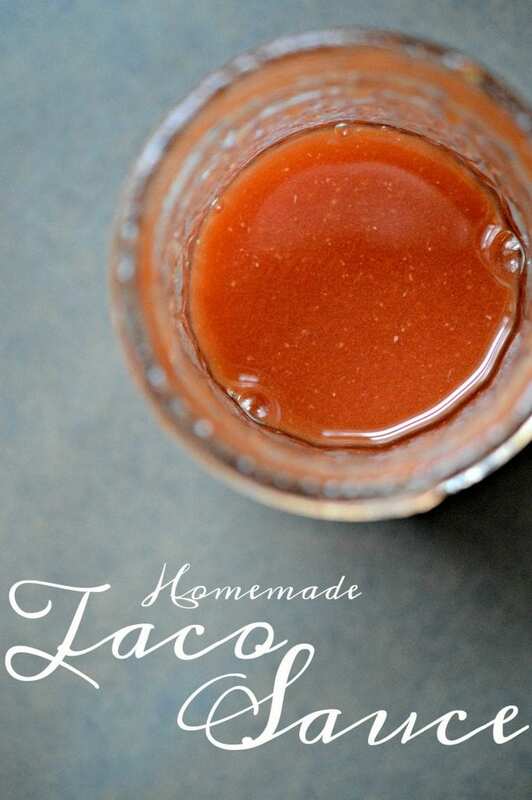 I had a hard time finding a taco sauce recipe because of my allergies to spices so I ended up looking through several recipes and finally coming up with my own. It’s a little different than a normal taco sauce, it’s more like a salsa. Whatever you use it for it sure is yummy! After I finished making it the other day I caught my hubby eating it right out of the jar! You don’t have to can this recipe, you can simply store it in the fridge after cooking and enjoy fresh. You may want to half the batch though unless you eat a lot of taco sauce! 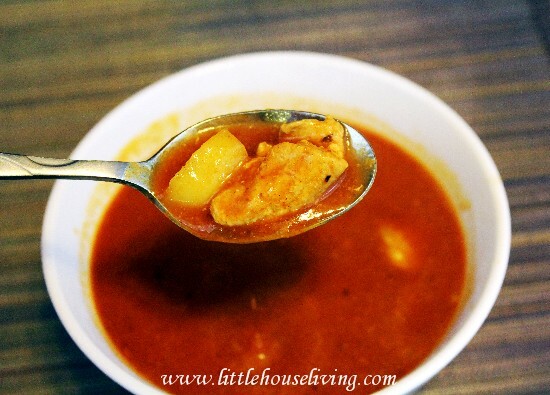 Mix all ingredients together in the saucepan and simmer together for about 15 minutes, stirring occasionally. Put into pint sized jars using the ladle leaving headspace. Don’t forget to clean off the tops of the jars before you put on the lids and rims. Screw the lids on tight and process in the hot water canner for 40 minutes. Take them out and carefully set them on a flat surface. Make sure the lids have sealed before you put them on the shelf. If they haven’t, re-process them. Enjoy! Make sure you check out all the free Canning and Preserving Recipes we have on Little House Living! You can keep track of your full canned goods inventory in my super handy Gardening and Preserving Journal. You may also enjoy this Recipe for Taco Seasoning and for an amazing 7 Layer Taco Dip! Another favorite is this Cream Cheese Taco Dip…so good! We love having a weekly taco night at our house…how often do you serve tacos? when you water bath this recipe for the taco sauce do you have to wait for it to start boiling like most canning recipes before you start timing it? Thanks for the recipes I enjoy reading them.. Yes I do make sure the water is boiling before I start the timer. I didn't do that every time last year and I ended up wasting alot of food that didn't seal properly. How many pints does this make. The recipe looks good! thanx for sharing, tomatoes coming out of my ears, apparently it’s the only thing I can grow~! Can I make this with fresh tomoatoes? Ooo! I am totally pinning this! Thanks! 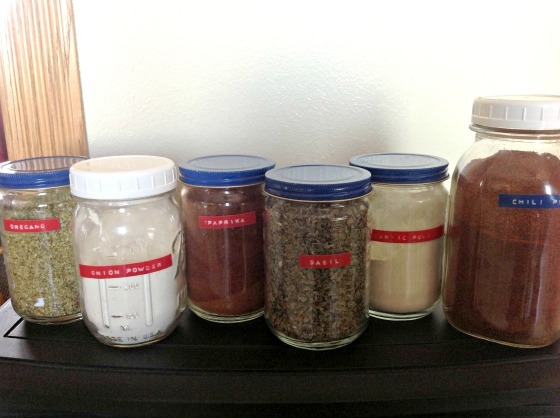 How do you label your jars when you use the Tattler lids? With the disposables I always wrote on the lids. Don’t really want to do that with reusable ones. I just don’t write on them and use them for things that I know for sure what they are. I use a dry erase marker for writing on my tattler lids. Works great! Washes right off to write on again! Just be careful you dont smear it when putting the jars away!! Can lemon or lime juice be used instead of the vinegar? If so how much? I don’t see why not. You’d have to test the taste too see how much is needed, I would say 1/4 – 1/2 cup. Nope! The garlic salt will add enough salt. And you can always add in salt later if needed. Is it white vinegar you’re using? That is correct, one tablespoon ans 1 teaspoon. Is this sauce what I add to the ground beef after I cook it? Does this sauce replace the need for store bought taco seasoning? We use this sauce as a “salsa” on tacos. Depending on your tastes it may or may not replace the need for extra seasoning. What an interesting recipe! 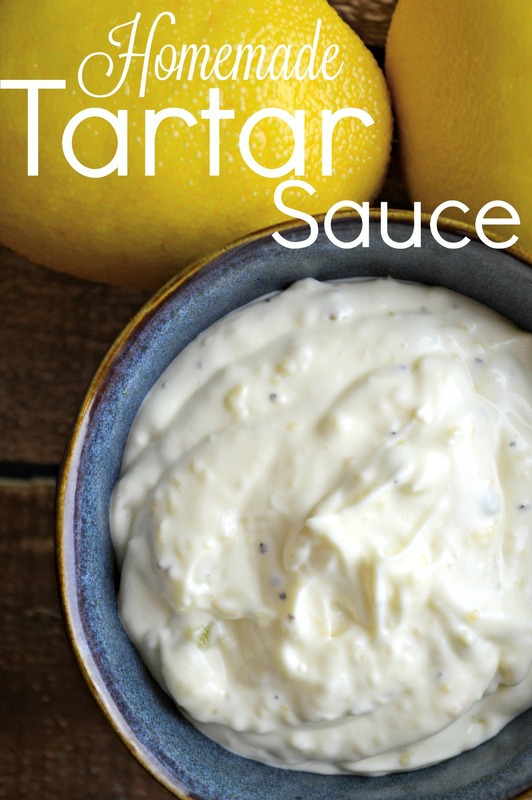 I’ve never thought to can taco sauce… Sounds great! I made this recipe, I substituted Serrano peppers for the jalapeno’s, and minced garlic for the garlic powder. I love the flavor, but I only yielded 3 and 1/2 pints. Will make again…yummy!